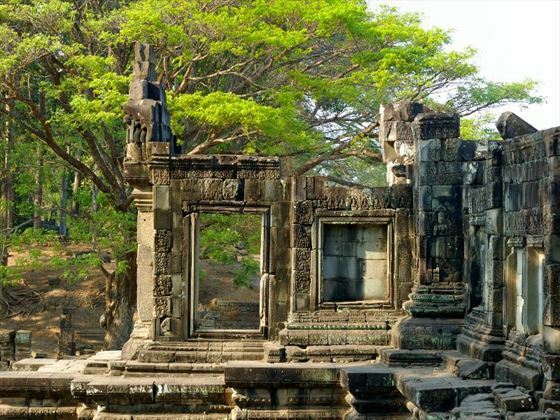 This 2 week trip features some of the highlights of Thailand and Cambodia, venture to the cities of Bangkok and Siem Reap, riding the sky train in Bangkok, sampling the local cuisine in Thailand and ticking Angkor Wat of your must-see travel list. After a busy week of sightseeing and soaking up the culture, spend a well deserved week relaxing on one of Thailands many breathtaking beaches. 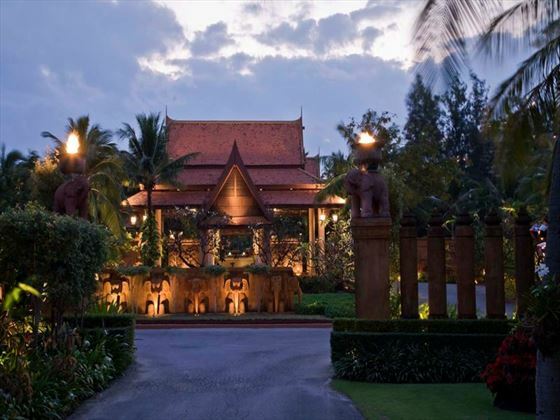 With internal flights included throughout, this trip works well for families and couples alike, it is a stress free way to make the most of your holiday in Asia and each of these unique 4 and 5 star hotels offers plenty of facilities for all to enjoy - call our travel experts who can help to tailor a quote specifically to your needs (TM). Fly direct with Thai Airways from London to Bangkok (approx.12 hrs) on an overnight flight, upon arrival in Bangkok you'll will be met and transferred to the Anantara Bangkok Sathorn for your 3 night stay; visit the Grand Palace, the floating markets, shop until you drop in the many malls and street markets and watch life go by on the city’s lifeline, the Chao Praya River. 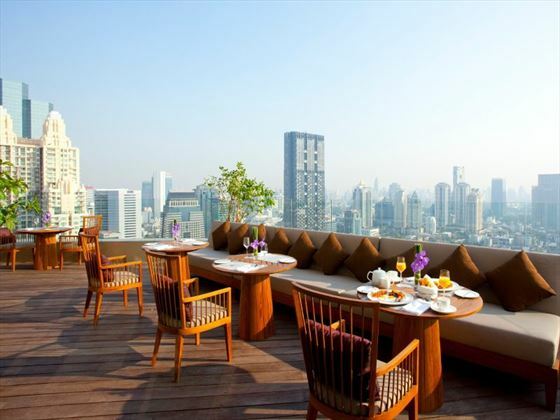 There's plenty to do and see in this vibrant city and after a days sightseeing the Anantara is the perfect place to rest and revive thanks to its urban location in the business district, why not treat yourself to one of the traditional Thai massages and then relax and enjoy a cocktail at the rooftop lounge bar? 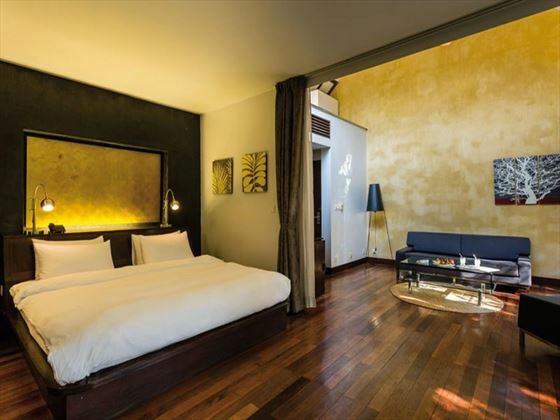 On day 4 take a transfer to the airport for your short (approx 1 hour) flight to the next exciting city on the agenda - Siem Reap, located in the northern region of Cambodia, on arrival you will be collected and taken the short distance to the Heritage Suites Hotel, a French Colonial style hotel. 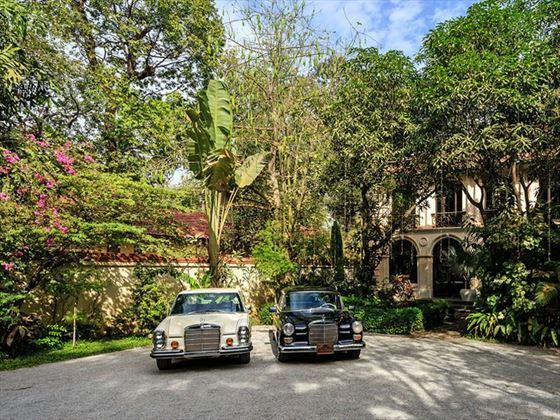 Located in a tranquil leafy neighbourhood known as the French Quarter, only a 15 minute walk into the centre of town where you will find boutiques, coffee shops, old markets and many restaurants. 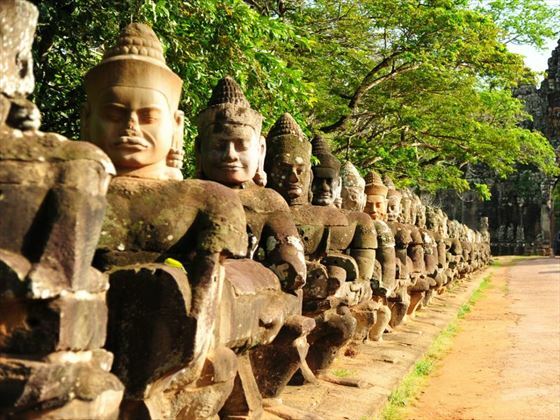 One of the highlights of this trip may be a visit to the Angkor Wat complex only a 10 minutes ride by tuk-tuk and a must see during your time here. 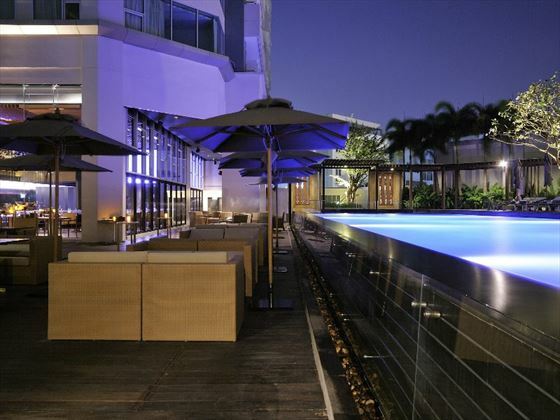 After a day of sightseeing and enjoying the culture here, you can stroll back to your hotel, explore the gardens or simply take a dip in the pool. 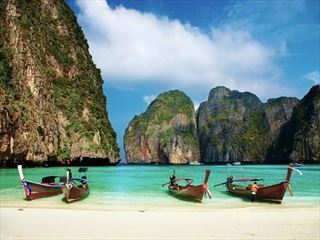 Today fly back to Thailand ready to enjoy a week spent on one of the fantastic beaches it has to offer. Switch off to the sound of the gently lapping waves and soft white beaches bordering the Gulf of Thailand's western shores. Enjoy the sun from the swimming pool or head to the sports courts for an active afternoon in the sun. 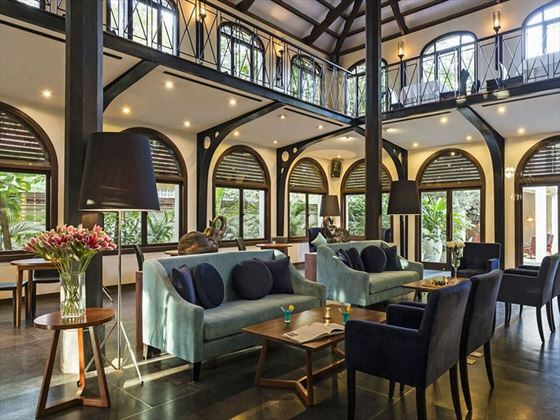 Fine dining, sunset strolls and colonial-style ambience all adds up to a picture-perfect beach retreat just a few minutes from the Royal Thai heritage and eclectic markets of Hua Hin. Transfer back to Bangkok today for your flight home. Wish to stay longer? Extend your trip by speaking to one of our travel experts. This combination of hotels is a suggestion based on our experience. Our knowledgeable staff can tailor your itinerary, changing the hotels or duration to suit your specific needs. 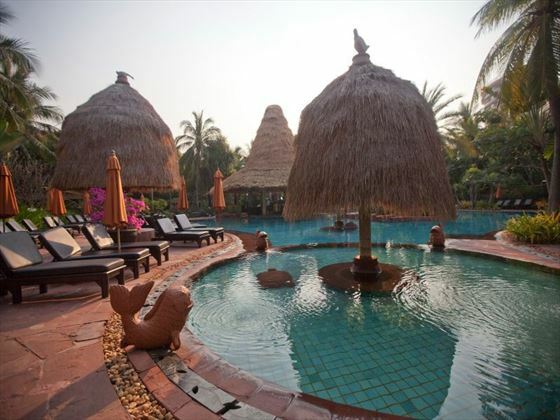 You could swap your week in Hua Hin for a week on the island of Phuket or Koh Samui if preferred. 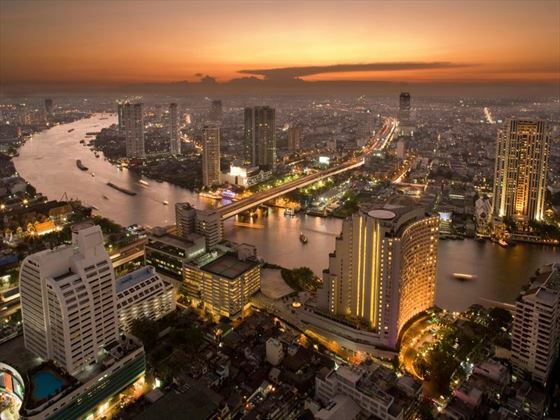 Early booking offer Book the Anantara Bangkok Sathorn 45 days prior to arrival and receive 15% discount on your accommodation. Book 30 days in advance and receive 10% discount. Travel between 1 Apr 19 - 20 Dec 19; 5-24 Jan 20 and 3 Feb - 31 Mar 20. 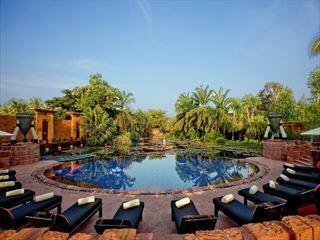 Amazing savings Stay at the Anantara Hua Hun Resort and save up to £270pp when you travel from 1 Mar - 12 Apr or 16 Apr - 31 Oct 19. 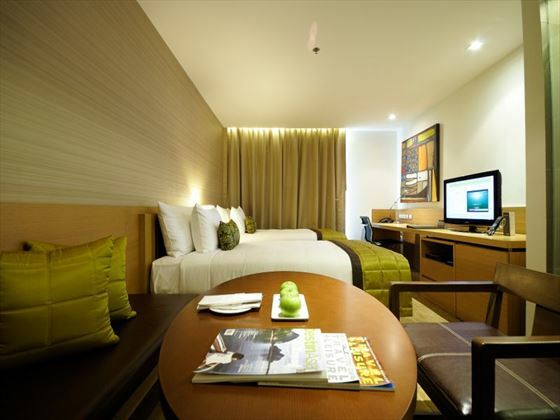 Excludes Premium Sea View room. 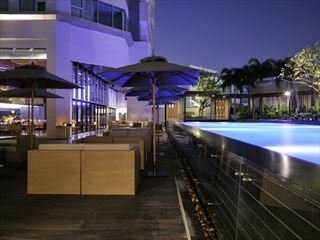 An ideal urban retreat for couples, small groups and families wishing to experience the fast-paced lifestyle of Bangkok. With a great choice of accommodation, which includes some stunning views, the Anantara promises as much in house as it does on the bustling city streets and from swimming pools to rooftop lounge bars, there's plenty to ensure your stay is an extremely worthwhile experience. 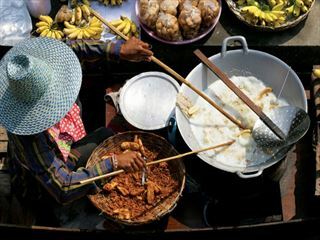 Aside from the numerous dining and keep fit facilities, guests are invited to try their hand at Thai cookery with the Anantara's Spice Spoons assisting in a cultural quest that also includes exciting tours of bustling local markets and downtown street stalls. 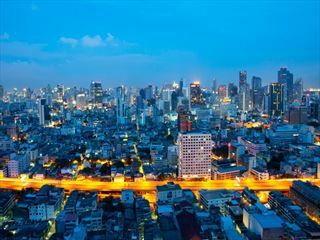 No matter what brings you to Thailand's capital city you're sure to find a warm luxury welcome at the Anantara with a wonderful array of local attractions to help you ease into the action in your own time.